How do I do a Short Sale Las Vegas? and what is it? Finding information on a short sale Las Vegas can be easy, but you really need the RIGHT information! 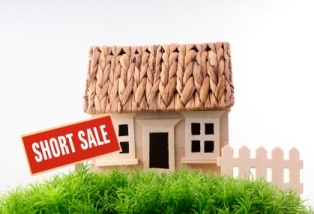 Do you know that you need to show a harship to succeed at a short sale. You DO NOT have to PAY anyone to do a short sale with FULL Waiver of Deficiency if you use a Realtor Don't believe all of those commercials making you pay for representation, email me today and I will help you. I have achieved the Short Sales and Foreclosure Resource designation from the National Association of Realtors. The best situation to get your bank approval is to be behind in payments and be able to show a job loss, death, health issue, etc. But there is a chance if you are not yet behind in mortgage payments. You may be able show hardship in "your neighbors are drug trafficers or vandalists", but these issues are rare. You can bet that if you are showing a lump of cash in the bank on your bank statements, you are going to have to come with some money to closing of your short sale, the lender is not going to let you just walk if you are not suffering in some way! Now, any situation you are in is worth the effort to try to negotiate a short sale, but you need to list your home for sale with a REALTOR that is experiencted in handling short sales and dealing aggressively with banks as well as having a title and escrow team to support you in this difficult transaction in which you are trying to negotiate your future outcome. How soon can I buy a home after a short sale ? *****these estimates are based on each individuals re established credit and scores as well as income, job history and any other factors that my be necessary to obtain a loan. Contact a real estate professional or major banking lender for your personal re-qualification status after a short sale Las Vegas. I am recommending this great author , he is an excellent financial advisor that offers simple steps to help you start over from your financial crisis. Short sale Las Vegas aims to make this experience as easy as possible. 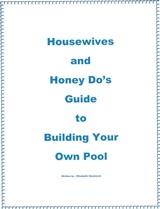 Anyone can follow the steps in this book, give it a try. Used and cheap and you are worth the investment! Click on the picture link to order. Sometimes we tend to hang on to things, especially our home that we love. There comes a time when we have to evaluate our life situation and either poop or get off the pot. The worst thing you can do is no try and lose everything. If you cant pay the mortgage, get some help and start over with a fresh slate! Return to Las Vegas Nevada Real Estate from "Short Sale Las Vegas"